I didn’t follow the recipe exactly, for instance I used self raising flour and skipped the step of chilling the cookie dough – I needed to taste them ASAP! …I am glad that I made it to gym this morning, as it will take a bit of the guilt out of the over-indulging that I am sure to do! YUM! 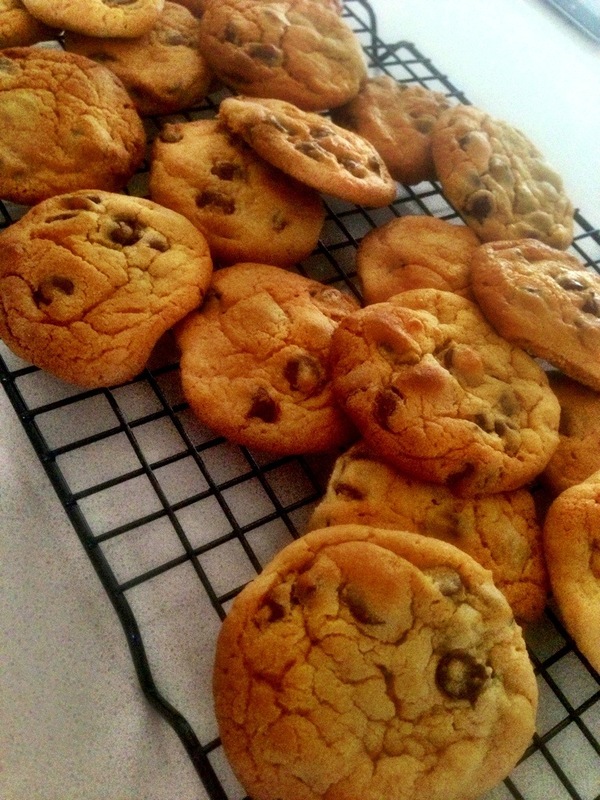 LOVE anything that is chocolate…and a cookie….and salted!